Secure your feet by playing them flat on the floor and lay down on a flat bench. Bring the dumbbells close to your body, holding them so your palms are facing each other and at shoulder width a part. Slowly bring the dumbbells down towards your body as you breath out. 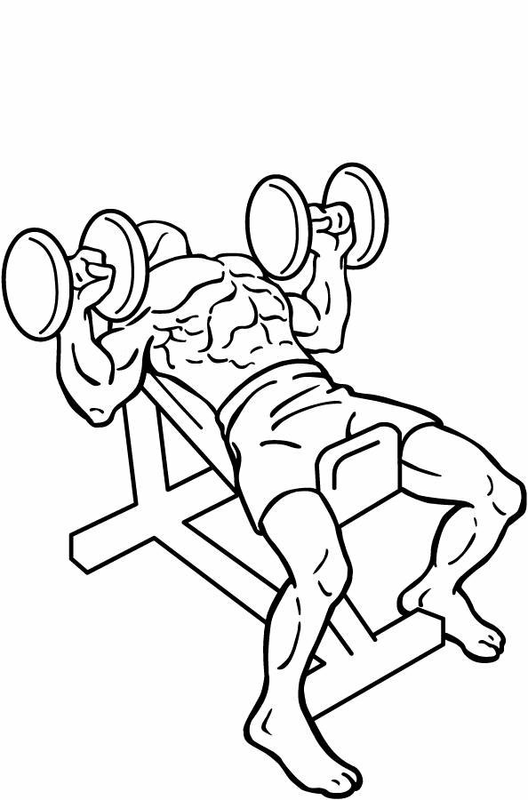 While the dumbbells are close to your body, your forearms should be perpendicular to the floor. As you breathe out, push the dumbbells up from the chest using your pectoral muscles and return to your starting position.